Citroen's van with windows, but one not without some hints of Gallic charm. Hugely practical too. 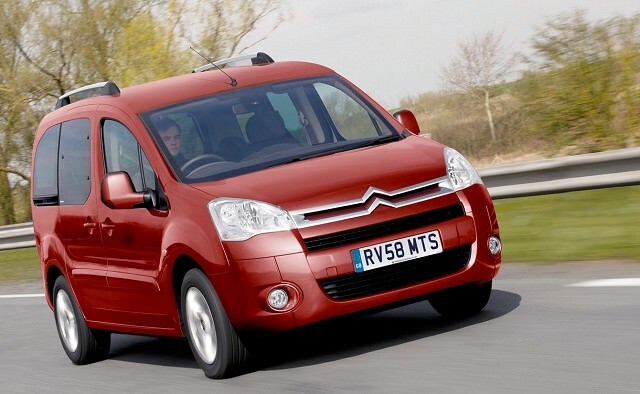 If you look at it in a certain way, the Berlingo Multispace is actually the true successor to the original 2CV. Yes, we know it’s nowhere near so stylish nor iconic, and we know it’s really just a van with windows, but hear us out – the 2CV was originally designed to provide low-cost motoring for rural types. It had to be able to carry livestock and chattels across broken roads and rutted fields, and do so on a pittance of fuel and in total comfort. The Berlingo, with its vast van-based cabin and total lack of social pretensions, is to our minds, the inheritor of that mantle. The original Berlingo Multispace was very much just a van with windows, with all of the bare metal, cheap plastic and lack of comfort that would have you expect. The 2008 new generation Berlingo really amped up the sophistication levels. Yes, you’ll still find lots of second grade plastics and the standard equipment levels are less than wonderful, but the whole thing now feels more or less as much car as commercial vehicle. It’s also significantly more comfortable for the driver than the first generation model. Of course you’re buying it for the space, really. And there is so much space in there it’s frankly staggering. Think a big estate is a roomy family car? Think again. Not only can you tumble and fold the back seats in a Berlingo, you can take them out altogether and that leaves a whopping 3,000 litres of potential luggage space. Even with the back seats still in, you can fit stacks of suitcases, or bikes and buggies, or just whatever it is you want to carry. It is a brilliant car for carrying things and, with those big windows and decent space in the back seats, good for carrying kids too. The sliding side doors at the back are also a real bonus when you’re struggling with car seats and shopping. There’s space in the back for three child car seats abreast too. There was an option of extra seats in the boot bringing the total to seven, but these versions seem to be quite rare. On the engine front, you’re going to be buying a 1.6 HDi diesel. There was also a 1.6-litre petrol engine offered but as far as we can tell, no-one bought one so the diesel it is. It’s a familiar unit, used in a plethora of other cars, and is reliable as long as you look after it. Stick closely to the servicing schedule and make sure you use the correct high-grade oil. The water and oil pumps are potential weak points too, as is the turbocharger, but a car with a full service history should be fine. Check the cabins too for signs of abuse. They’re robust things, Berlingos, but the cabin can easily get scuffed and marked, so look and see if the previous owner has been giving it a hard time. Check underneath for signs of damage as well and check any electrical items to make sure they’re working properly. Around €11-12,000 should get you into a 2011 or 2012 Berlingo, which is a lot of car for the money. You need to throw your badge-snobbery and social climbing instincts out the window. The Berlingo is the antidote to thrusting, aggressive German saloons. It’s a simple, upright, class-less family car with masses of space and it’s designed for affordability. That’s why we love it.